We adapt to our clients's needs, adapting our services in independent areas, to do more easy your individualized or combined recruitment in whatever of the possible variables..
We respond sinister claims, 365 days , a year 24 hours a day, depurating , the necessity of inmediate or deferred intervention, , and we do the sinister to the experts. We supply technical support to the insured who are in a complicate situation after a sinister, telling and going along with them on the steps to overcome the situation. We give an expert intervention and correct management, according to customer needs, attending the aspects that may be of interest of them, O well, doing the complete instruction of the case file. We work with frecuency sinister with a new strategy which dynamizes the management and it reduces greatly the costs at time of service benefit. We facilitate the communication between the Insured and the Insurance Company, advising on the documentation to present finally, to reduce average times and resolve the case files as soon as possible. We analyze the transport and good polices's coverage to propose reinforcement and improvements in the product. Our recoveries service we manage by amicably way or by legal means, because we have law firm specialized in transport. We are a company specialized in Sinister Management, Experts and Maritime Surveyor, which it has more than 34 years of experience serving in the fields of Good Transport , Pleasure Craft, Aviation and Aquaculture, as well as the related liability with Transport, including liability Environmental . We provide to the market, our experience and new specialized technology , designed with the times and circumstances which have to be interesting for Insurance Companies, Mediators, Big Corporations with high levels of self-insurance and Individual people. Our Photo / vídeoexpertise service reduces average times and average costs to our clients, He strengthening decision making on what kind of expertise is needed. Our app provides to our customers, Insurance Company and Insured, a significant reduction in their average times, in responses and closing files. We have full capacity to develop systems integration with our customers, as webservice and personalized extranets. 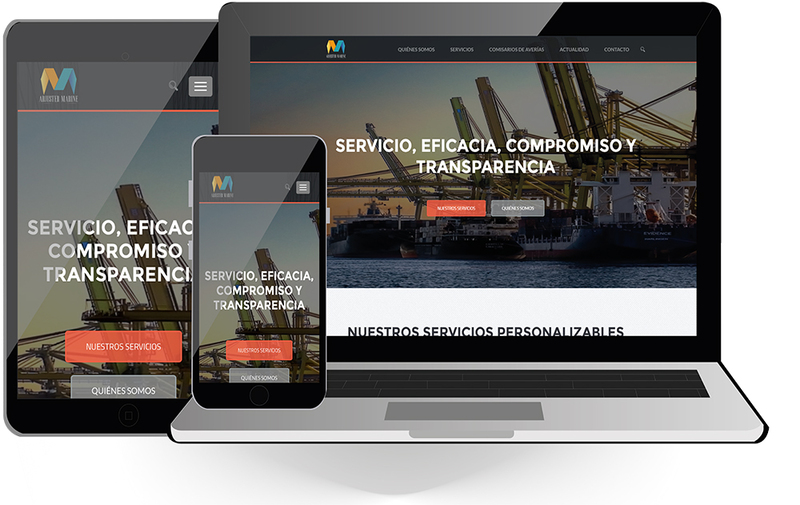 Company is specialize in expert management , it has redesigned its corporate image completely, giving life to a new logo which Adjuster Marine uses oficially, at the same time, it has as objetive within one week to show publically its website totally actualized. After starting the rebranding, Adjuster Marine also renews its website. Currently its website can be found in two domains www.adjustermarine.es and www.adjustermarine.com. 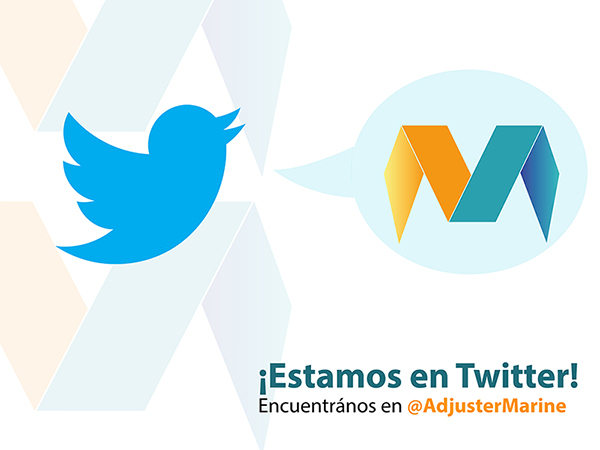 Following the strategy of modernity and renewal of the company corporate image , Marine Adjuster also decided to expand into social media. Because, You have created an account on the virtual platform / social network "Twitter".